Jamie Carter, Ph.D. and Ahna O’Shaughnessy, M.A. have developed a four step program to help parents teach their children diagnosed with an Autism Spectrum Disorder (ASD) how to improve social skills and emotion management. Their book, PREP for Social Success: A Guide for Parents of Children with Autism, is available exclusively through Amazon Kindle. Parents who have a child with ASD often experience stress and pressure because their children have difficulty in social settings. These settings range from participating in family gatherings, to fitting in at school, to getting and keeping a job. Children may feel anxious or overwhelmed in these everyday settings. If they have inadequate communication and coping skills this may lead to uncooperative behavior, unusual behavior, or emotional distress. PREP for Social Success outlines four easy steps (PLAN, REHEARSE, ENCOURAGE, PRAISE) that parents can use to teach their children with ASD how to more effectively handle and adapt to a variety of social settings. These settings include school, group activities, community settings, work settings, and novel situations. Parents learn a variety of techniques to use when applying PREP. These include using visual cues, telling stories, developing scripts, performing role plays, playing games, and mapping out desired behaviors. The authors have a combined 50 years of experience in treating children and adults. Jamie Carter is a Clinical Psychologist who has provided consultation to a variety of community and government agencies. She has performed evaluations and provided psychotherapy as well as developing behavior support plans. Ahna O’Shaughnessy is a Psychology Associate, providing behavior intervention services to various agencies and schools that serve adults and children with autism and other neurodevelopmental disorders in the Greater D.C. and Baltimore areas. The authors can be reached at: prepforsocialsucess@gmail.com. in	Autism Articles , Social Skills by Jamie E. Carter, Ph.D. and Ahna I. O’Shaughnessy, M.A. Jamie E. Carter, Ph.D. and Ahna I. O’Shaughnessy, M.A. Jamie E. Carter is a clinical psychologist and Ahna I. O’Shaughnessy is a psychology associate. 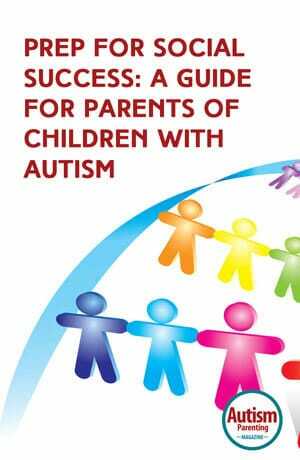 They are co-authors of PREP for Social Success: A Guide for Parents of Children with Autism. It is a social skills manual which provides an easy to follow four-step program to help your child improve social functioning and emotion management. It is available exclusively through Amazon Kindle at http://www.amazon.com/gp/product/B00WQANRI4. You can follow them on Twitter @Prep4SocSuccess and on Facebook at https://www.facebook.com/PREPforSocialSuccess. Is there a course my 15 year old very shy asd boy could attend. I am concerned that most all of the effort and money is to care for the children after the autism is diagnosed. I want to know more what is the cause. I am not a scientist but an experienced Organic Farmer/Gardener starting in 1950. It was because of a bad experience with 24-D herbicide for weed control. Never used it again and started my journey in organic Farming on my Vermont Dairy Farm comparing it with the chemicals for three years. This is all took as my cows gave me the answer as well as the earthworms. I changed totally organic in 1953 and never have used chemicals since. I cannot write all my success here but one can type on google and my story is there. ALADAY LLC Is Monsanto a Monster I have learn more after I wrote my book Learned by the Fencepost published in 2011. I am still learning at 88 as there is no end to learning how best to manage the soil and grow the best produce without chemicals. It took Mother Nature millions of years before man to build up our fertile soil where all food comes from. Man trying to out do with chemicals has put humanity in a difficult situation by burning up the life of the soil with hot acid chemicals. The over load is in the water ways around the world and causing terrible problems by causing tremendous fish kill. The over load of chemicals is also released into the atmosphere causing problems. I find organic feeds food plants as needed and builds up the soil without losing humus. Osmoses feeds plant naturally and not stimulate sick plants with overload. The top six inches below the surface is where this action takes place and the chemicals destroy this natural procedure and the plants are stimulated not grown. My soil test tell me so.